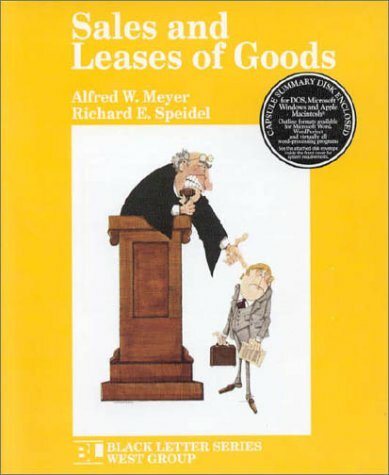 Expert authors explore the Black Letter law on sales and leases of goods. Provides extensive and concise overview of UCC Article 2 and Article 2A. Text addresses commercial transactions, basic contract formation, leasing of goods, and the Convention on the International Sale of Goods (CISG). Richard E. Speidel is the Beatrice Kuhn Professor of Law Emeritus at Northwestern University School of Law and is also a visiting Professor at the University of San Diego School of Law. Professor Speidel's specialties include public contract law, contracts, commercial transactions, and arbitration. He has published extensively in each of these areas. He has co-authored two leading casebooks Commercial Transactions: Sales and Leases of Goods with Linda Rusch, and Studies in Contract Law with Ian Ayres and a critically acclaimed treatise on Federal Arbitration Law. App. D. Table of U.C.C.